Celebrate the holidays and ring in the New Year with a festive selection of easy-to-make, wildly delicious cocktail recipes. 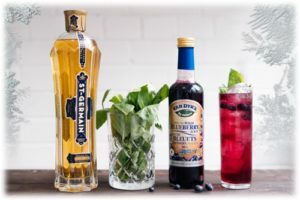 Wild blueberries spruce up any traditional recipe by adding a punch of colour and bold flavour that guests will be sure to remember. Indulge in this holiday treat guilt-free, knowing wild blueberries contain a wide range of natural anthocyanins, which help fight against disease and age-related health risks. 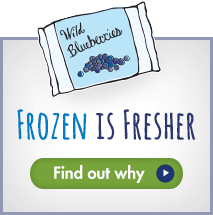 Wild blueberries are frozen fresh at harvest, preserving great taste, superior quality and nutritional value. Enjoy half a cup a day year-round for maximum health benefits. 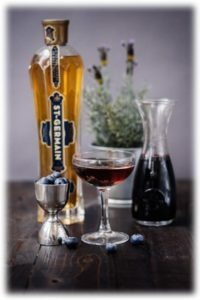 Pair your wild blueberry cocktail with Mildred Temple Kitchen’s Wild Blueberry Chutney Cheese Tray for a perfectly wild holiday get-together.